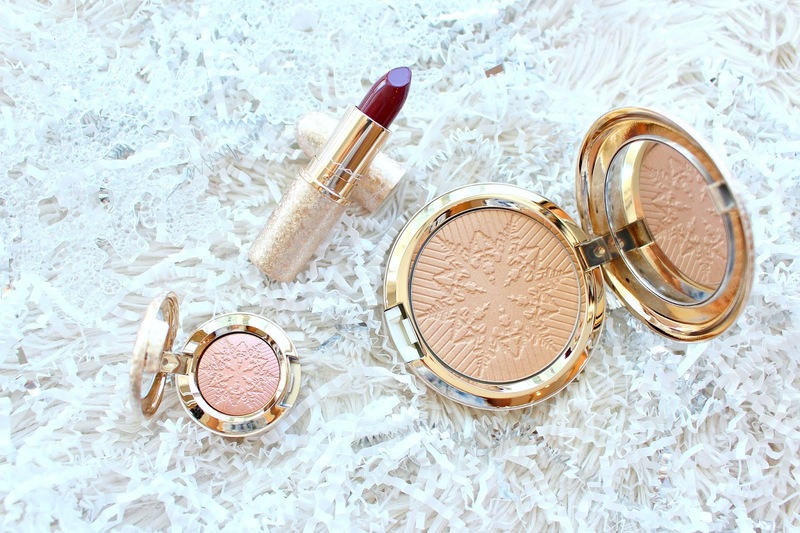 The holidays, MAC Cosmetics .. a match made in heaven. 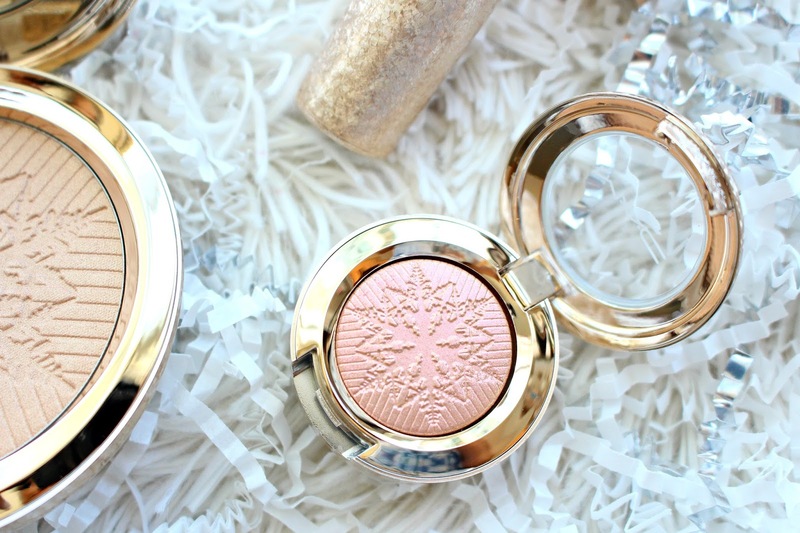 The MAC Snow Ball Collection launched recently is absolutely gorgeous. I mean, look at that packaging! If there's anything in this collection you want, grab it now. I'm at a little late getting my review up so some items have sold out. Not sure on a restock. 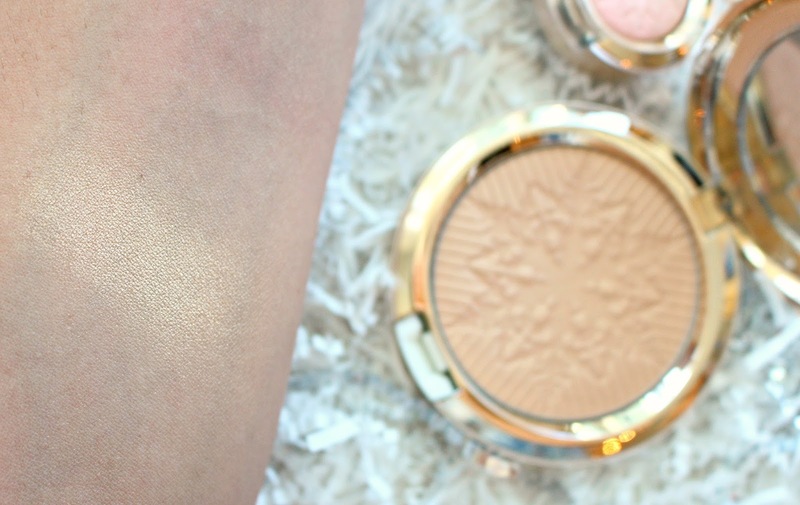 MAC Happy Go Dazzingly Face Powder is described as a"gold with sparkle", I don't really see the sparkle, which I'm happy about. 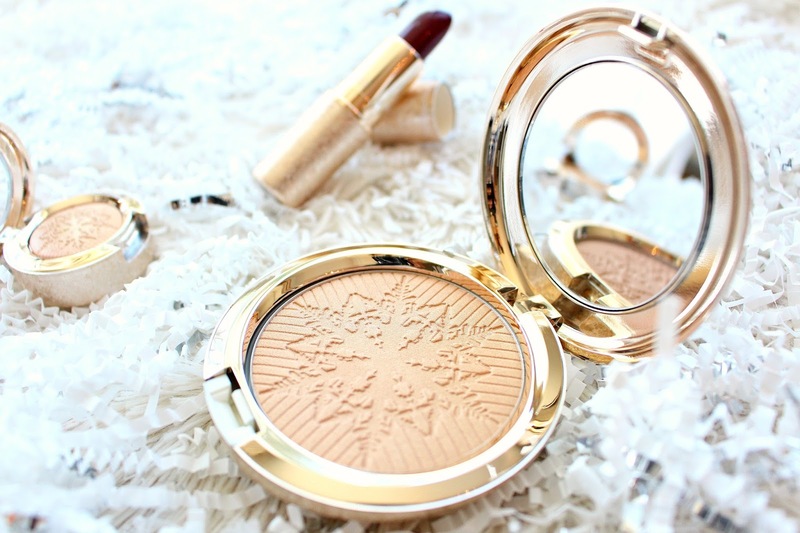 It's a densely packed powder, not overly powdery with a strong gold ton. It's a face powder, and not a highlight but it's also not a typical face powder if that makes sense? It's doesn't pack the same punch as something like Oh, Darling, but it has a nice glow, the swatches do not do it justice. 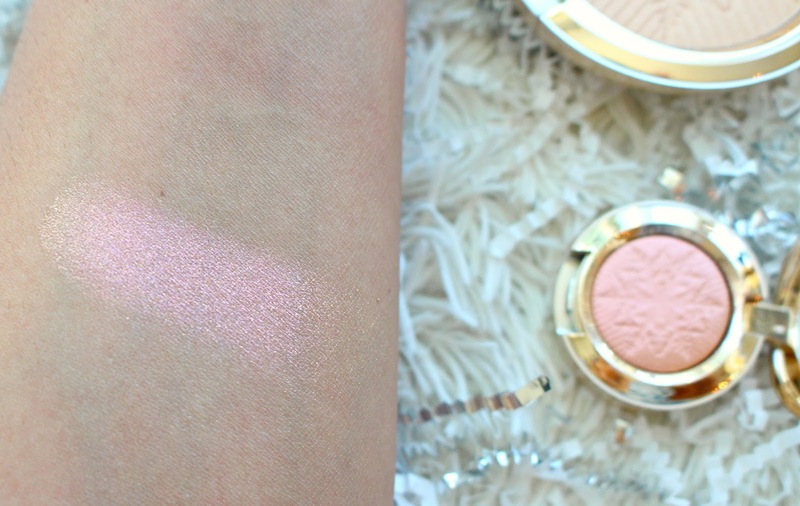 MAC Delicate Drift Extra Dimension Eyeshadow is STUNNING, such a beautiful pink shade with some serious golden shift. I think this could act as a nice highlight if you have a deeper skintone as well. There is a tiny bit of glitter running through but nothing too intense. You can use this shadow wet or dry, I prefer to apply it with my finger. 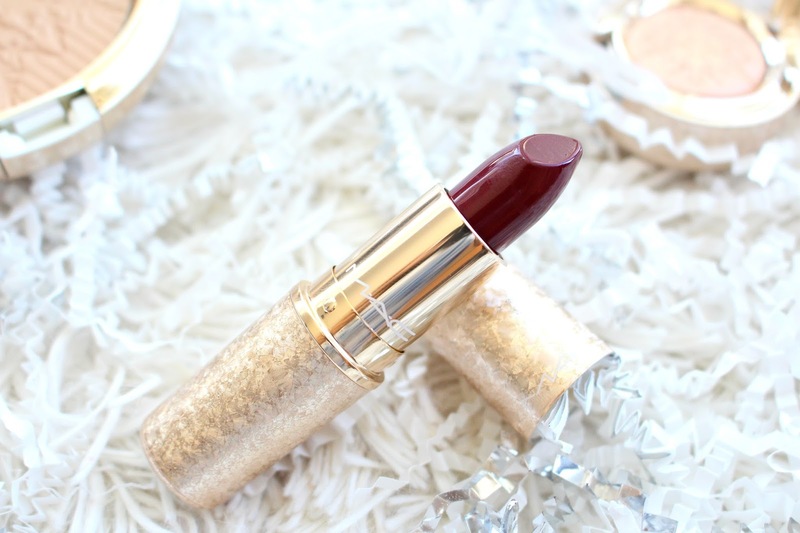 Something we can always count on from MAC is their lipsticks. They are also the perfect way to get an item from a collection if you like the packaging but don't want to break the bank. 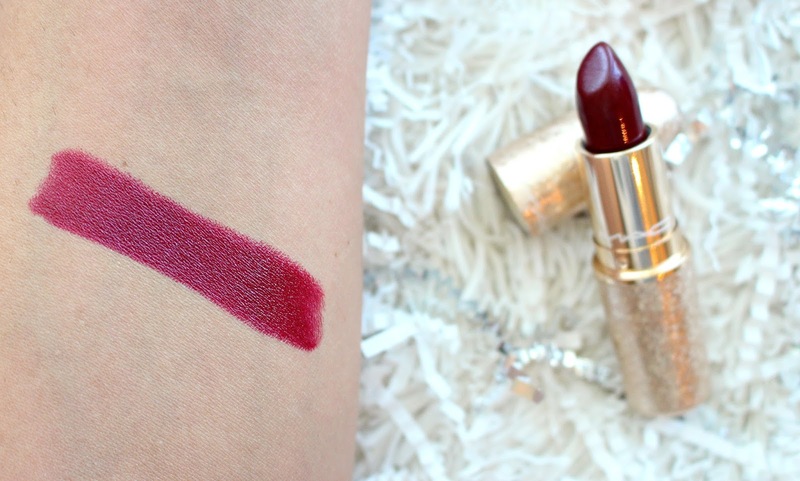 The MAC Elle Belle Lipstick is in an amplified formula which is one of the best in my opinion. It's full of colour, with a little sheen, can be blotted if you like a more matte look. That eyeshadow colour is BOMB!! !